We've used CLC Services for our Christmas lights for the past 4 years. They do a great job and the people are very nice. I've recommended them to others who have also been happy. So glad we found you. CLC Services did a GREAT job on our Christmas lights! Chris is a true professional! Thank you! I have recommended you to everyone I know. So glad we found you. We have used CLC Services for years. 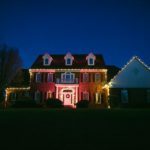 Christmas Lights, Lawn Maintenance, Mulch, small construction projects and Landscape Lighting. Superior service and never the hassle of having to call and make sure they are going to show up. We always receive reminder calls and even a thank you card in the mail. Very rare in this type of industry. I recommend them to everyone and now my family uses them also. Great company. Keep up the good work! 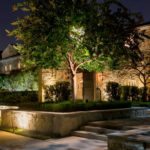 The landscape-lighting design specialists at CLC-Landscape Lighting are some of the best-trained lighting designers in the industry today. You can have peace of mind that we will fulfill your needs, on time and with excellence.